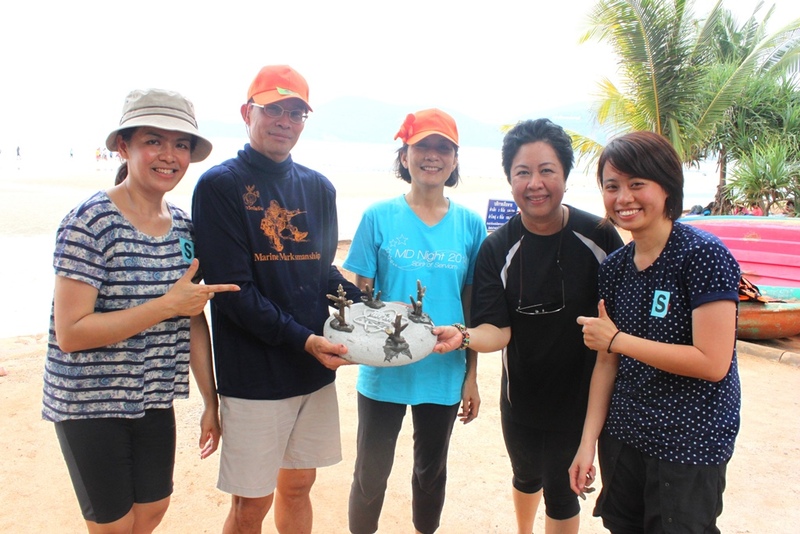 March 2015, Bangkok: A team of Chatrium Hotels & Residences, led by managing director Savitri Ramyarupa, joined the Sattahip Naval Base on a coral reef revitalization project at Toei-Ngam beach, Chonburi province from 25th to 31st of March, 2015. The activity was organized by the Thai Navy Marine & Coast Preserve and Development Committee which allowed Chatrium Hotels & Residences associates to learn more about coral planting; including the marine ecosystem. 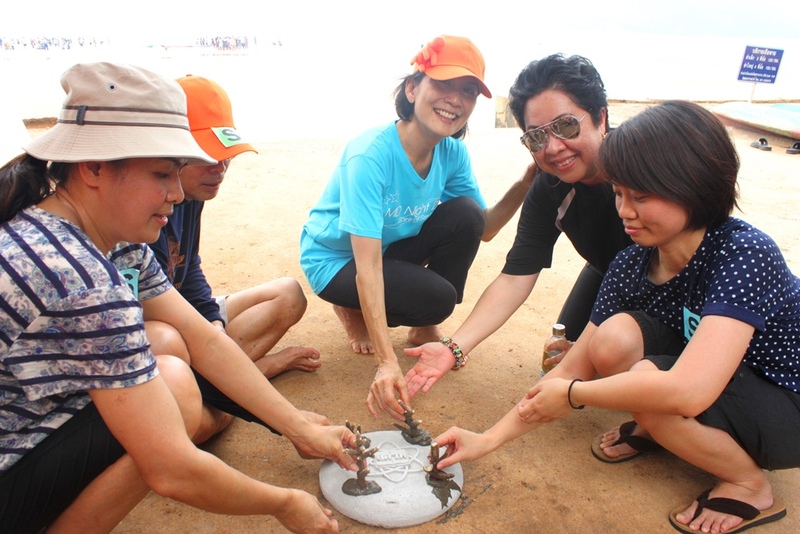 The coral planting will contribute towards the immobility of the coastal environment and promote a greener ocean by conservation of natural resources. “Being part of this coral reef planting project bespeaks a small step we are taking to help recover the marine ecosystem. 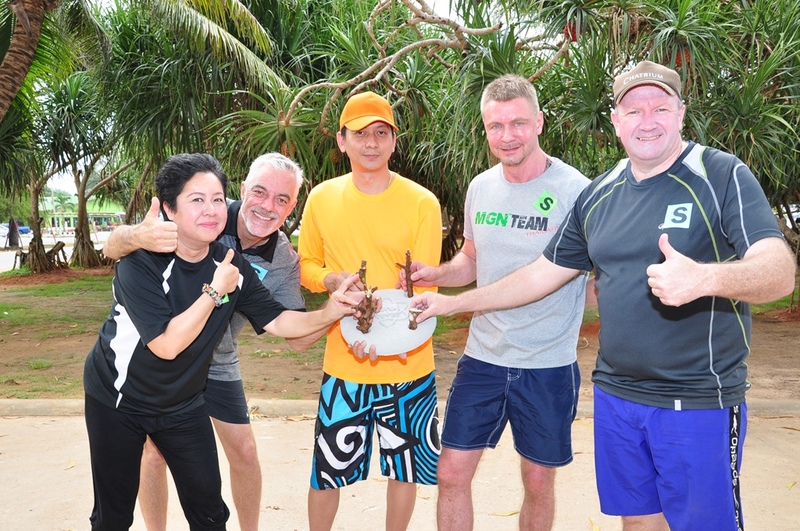 This meaningful activity is one of the ways Chatrium Hotels & Residences support a sustainable ecological future” said Savitri Ramyarupa, managing director of Chatrium Hotels & Residences.